The Kilgariff family, proudly of Irish Catholic background and followers of the building trade, were pioneers of Central Australia. Bernard Francis (Bern) Kilgariff was born at Mile End, Adelaide, on 30 September 1923, the oldest of three surviving children born to Steve Kilgariff and his wife Mary, née Egar. Steve's brother, Joe, took his family from Adelaide to Alice Springs in 1927 to take up the lease on the Stuart Arms Hotel and pursue other building and commercial interests. Steve and his family followed two years later, when the Depression caused the collapse in the building industry around Adelaide. Bern was six years old, and the white population of the Alice barely 200. The two brothers took advantage of opportunities that came with the Ghan railway, opened in August 1929, improvements on the north-south road, now the Stuart Highway, and the discovery of gold, notably at Tennant Creek. Among many ventures, they built the first Catholic church and school complex in Alice Springs, operated a picture theatre, opened a store on The Granites goldfield, a store and hotel at Barrow Creek and a hotel at Tennant Creek. Between helping his father and uncle with their building projects, Bern attended the Hartley Street School and the Convent School in Alice Springs, gaining his Intermediate Certificate in 1939. His first job, at the age of sixteen, was as an apprentice engineer with a new aviation company, Survey and Inland Transport, founded that year by E. J. Connellan to operate a mail service between Alice Springs and Wyndham in Western Australia. For the next two years he spent much time building remote airstrips across the Territory to the Western Australian border. He joined the Australian Army in 1942 and saw service from 1944 in New Guinea with the 2/5 Infantry Battalion, 6th Division AIF. After being evacuated in March 1945, suffering from malaria and scrub typhus, he returned to service and was selected as a guard for the signing of one of the Japanese surrender ceremonies at Wewak on 13 September 1945. Kilgariff returned to Alice Springs, renewing his association with Connellan and working on an uncle's citrus and poultry farm, a 10-acre block, Stuartvale, located close to town. During this time, he met Aileen Carmel Canny, and the couple married on 10 April 1948; they would become the parents of five sons and six daughters. They borrowed heavily to buy Stuartvale, and supplied eggs and chickens throughout central and northern Australia. In the late 1950s Kilgariff, anticipating the boom in tourism, built the ten-unit Oasis Motel, the first motel complex in the Northern Territory, which eventually grew to 144 units, complete with restaurant, squash courts and service station. Kilgariff was a central figure in the establishment and initial operation of the Alice Springs Memorial Club, as well as in the local RSL, and his growing community and business interests led to him being appointed a founding member (from 1959 until 1972) of the Northern Territory Housing Commission, established by the Commonwealth Government to address the Territory's critical housing shortage. Kilgrariff was one of the first three non-official councillors appointed to the Northern Territory Legislative Council from 1960. He was appointed a member of the Administrator's Council—a body created in 1959 to advise the Administrator on executive matters—in 1961 and remained a member until 1975. 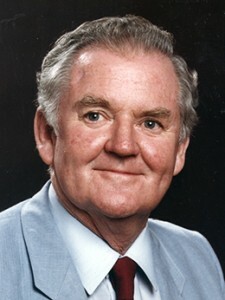 When the non-official Legislative Council positions were replaced in 1968 by elected positions, Kilgariff won the seat of Alice Springs as a Country Party candidate. Together with Connellan and others, Kilgariff helped form the Australian Country Party–Northern Territory in 1966. Kilgariff campaigned for Sam Calder, an Alice Springs small businessman, who wrested the federal seat of Northern Territory from the Australian Labor Party for the first time since 1949 at the House of Representatives elections on 26 November 1966. Kilgariff's main political interests were in constitutional reform to give the Territory the same self-governing rights as those enjoyed by the states, and land rights for Aborigines. He had been closely associated with Aboriginal people all his life, counting many as close friends, and in 1965 ardently supported a bill in the Legislative Council to 'provide a means whereby Aborigines may obtain tenure over land'. Kilgariff was a signatory to the Remonstrance in August 1962, a document sent to federal Parliament outlining the grievances of the Territory over its constitutional situation, and he led a delegation to Canberra in 1970 to press for progress towards a fully elected Territory legislature, transfer of functions to a Territory public service, and Senate representation for the Territory. A year earlier, he told the Legislative Council that:'I have never had the opportunity of voting in a referendum ... I have paid my taxes; I have gone away during the war, and I have done my best to populate the Territory. And despite this, I am still a second-class citizen'. A milestone came in 1974, when the Legislative Council was replaced by a fully elected Legislative Assembly. In the lead-up to the first Assembly elections, Kilgariff was prominent in forming the Northern Territory Country Liberal Party (CLP), an amalgam of the Country Party and the smaller, largely Darwin-based Liberal Party. The new CLP maintained the former NT Country Party's affiliation with the Federal Council of the Australian Country Party, ensuring that its Member for the Northern Territory, Sam Calder, could continue to sit in the Commonwealth Parliament as a member of the Country Party. The CLP won a landslide victory on 19 October 1974, taking seventeen of the new Legislative Assembly's nineteen seats, with Kilgariff retaining his seat of Alice Springs. A month later, on 20 November, he was elected the Assembly's first Speaker, holding the position until being elected deputy leader of the CLP in August 1975, and Executive Member for Finance and Law. As Speaker he was largely responsible for convening an urgent session of the Assembly in the wake of Cyclone Tracy, which devastated Darwin on Christmas Eve and Christmas Day 1974. The Assembly met eight days after the storm to pass emergency legislation to facilitate the immediate clean up. Kilgariff recalled: 'I will never forget it. When we sat there was about an inch of water over the floor of the chamber. A lot of the roof had gone and some of the walls had been blown in.' According to his colleague, Ian Tuxworth, the 'pace and tempo' of the emergency sitting was set by Kilgariff, who 'knew how to dispense with all the formality at the right time and get away with it'. Further constitutional reform in 1974 provided Senate representation for the first time to the Northern Territory and Australian Capital Territory—two senators each—increasing the size of the Senate from sixty to sixty-four. Kilgariff decided the time had come for him to press the case for more autonomy for the Northern Territory directly to the Commonwealth Parliament, and to seek the advancement of its people, especially the Indigenous population. He won CLP preselection to head its Senate ticket and was elected to Parliament in the landslide coalition victory on 13 December 1975 following the dismissal of the Whitlam Labor Government by Governor-General Sir John Kerr. Like Calder, he took his place in Canberra as a member of the parliamentary National Country Party (NCP). Kilgariff's first speech to the Senate, on 18 February 1976, was historic in that it was the first to the Senate by someone representing the Northern Territory. His wide-ranging address included themes which he would pursue vigorously over the next twelve years: the necessity for the Territory to move towards statehood, the exploitation of its rich mineral resources, and the need to expand defence facilities. There was also the question of Aboriginal affairs and land rights, which he described as 'the most important single social factor in the lifestyle of the Territory'. He warned that future policies on Aboriginal advancement must ensure equality for all: 'Some policies in the past, when implemented, have tended to create a form of apartheid within both [black and white] communities which I sincerely believe is neither warranted nor wanted in any Australian society, certainly not in the Northern Territory'. In the Senate Kilgariff was a vigilant defender of the interests of the Northern Territory against the encroachment of Commonwealth laws, especially those that might adversely affect mining or tourist developments. In May 1978, with self-government for the Territory only a few months away, he protested against legislation (subsequently amended) which offered no role for the Territory in the management of Kakadu National Park. He declared that territorians were 'sick of being trodden on by the Federal Government'. An active supporter of uranium mining, Kilgariff was strongly critical of the Hawke Government's 1986 decision to ban mining in Kakadu and seek world heritage listing for the park. He saw this as another example of Commonwealth disregard for the needs of the Territory, which 'brushed aside the tremendous value of the mineral deposits in the area' at a time 'when the country is desperate for export dollars'. In 1983, when residents of the NT and ACT were given the right to vote in referendums, Kilgariff regarded the legislation as a stepping-stone towards his ultimate goal of statehood for the Northern Territory (a cause subsequently pursued by his daughter and NT parliamentarian, Fran Kilgariff). The defence capacity of the Territory was a constant concern for Kilgariff. He spoke about drug running, the intrusion of illegal fishing boats from Indonesia, and the problems posed by the arrival of refugees. He was a staunch supporter of the maintenance of the US military base at Pine Gap. Kilgariff displayed an early and consistent interest in the fate of the East Timorese people following the Indonesian military invasion in 1975. He wanted to see separated families reunited, urged increased Australian aid, and felt a particular connection through his war service: 'many people in Australia, including myself, believe that Australia has a very real debt, not yet discharged, to the Timorese people who in the 1939/45 war did much to assist Australian troops'. However, he did not support East Timorese independence, instead advocating the strengthening of political and diplomatic ties with Indonesia. Kilgariff's concern for the East Timorese reflected his wider interest in the plight of refugees. He believed that Australia should have allowed more Indochinese refugees to enter the country: 'They will enhance Australia's future, just as the refugees who came to Australia after World War 2 did'. He was deeply involved in humanitarian work on behalf of refugees, and sponsored and unofficially adopted a Vietnamese family who settled in Alice Springs in 1980. Kilgariff continued to advocate Indigenous land rights in the Senate, although this was qualified by his commitment to mining exploration and the expansion of tourism. In 1985 he introduced a private senator's bill (ultimately unsuccessful) which sought to remove Aboriginal land holders' power to veto mining on their land, and to provide access through Aboriginal land for transport, and the movement of livestock. Kilgariff was critical of the Hawke Government for 'giving remote area Aboriginal people hand-outs rather than creating employment programmes for them', and often questioned the credentials of those who claimed to speak for Indigenous communities, and the way in which funds were used by organisations such as the Alice Springs Central Land Council. He was a pioneer in raising awareness of the dangers of petrol sniffing among Indigenous youth and, together with Labor's Senator Ted Robertson, played a key part in setting up the Select Committee on Volatile Substance Fumes in 1984. He also drew attention to the high incidence of the eye disease trachoma in Indigenous communities. Between 1975 and 1978, the CLP re-examined its relationship with the non-Labor parties in Canberra, on the grounds that it should evenly support the Liberal Party and the NCP. An arrangement whereby the CLP would associate with both the NCP and the Liberal Party of Australia was formally accepted by the CLP's Central Council on 2 February 1979 and endorsed the following day by a special conference in Darwin. The resolution provided that 'the Federal CLP Parliamentarians be permitted to sit in the Party Rooms of their choice in Canberra'. There was, however, a broad understanding that the party's federal representatives should divide themselves evenly between the two non-Labor parties, based to a large degree on the fact that both the Liberals and the NCP were providing financial support to maintain the CLP's administration. Calder, long regarded as an old guard Territory Country Party man, would not countenance joining the Liberals. Kilgariff, while also an original NT Country Party member, and having had no involvement in negotiating the new arrangements, saw merit in the CLP being truly even-handed in its relationships in Canberra. He decided, from 8 March 1979, to sit as a member of the parliamentary Liberal Party. It was an uncomfortable and difficult time, with some NCP members believing that he was betraying the party. Kilgariff later described his action as 'the hardest decision I have ever made, because I lost so many friends in the thing and this went right through my political life'. Undaunted, Kilgariff continued to represent Northern Territory interests effectively, not only in the chamber but also through his active membership of various parliamentary committees. On 24 February 1981 he was elected deputy to the newly elected Government Whip in the Senate, John Knight. It was a short tenure. Knight suffered a heart attack and died on 4 March 1981, propelling Kilgariff into the role of Acting Government Whip for three weeks until being elected Government Whip on 24 March. He continued to hold the Coalition Senate Whip's position, in government and opposition, until his retirement from Parliament in July 1987. Kilgariff brought to the position personal qualities which endeared him to his colleagues, notably 'kindness and loyalty' and sensitivity to the family pressures faced by parliamentarians. It always amused him that he held elected office in the Coalition without ever being a member of either the NCP/National or Liberal parties. Kilgariff found that his work entailed travelling around six thousand kilometres a week. He and his wife Aileen both qualified for private pilots' licences and they bought a Cessna 182 aircraft to make it easier to travel the vast areas of the Northern Territory and elsewhere to fulfil his senatorial duties. The Kilgariffs sold the Oasis Motel complex in 1985 and Kilgariff retired from the Senate following the double dissolution of Parliament on 5 June 1987. In the same month, he purchased the historic Erldunda station, a three thousand square kilometre pastoral property 200 kilometres south of Alice Springs. Over the next fourteen years he transformed it into a highly productive enterprise, recognised for its drought management, water reticulation and Landcare initiatives. Throughout his career Kilgariff was involved in many community and charitable activities. He was foundation president of the Alice Springs Art Foundation, chairman of the Royal Flying Doctor Service Alice Springs base, and foundation chairman of the Alice Springs Community College and of the Northern Territory YMCA (Southern Region). In 1990 he was appointed Deputy Administrator for the Northern Territory, holding the position until 1997. He and his wife retired from Erldunda in 2001 and returned to Alice Springs. Testimony to Kilgariff's contribution to the Northern Territory is evident in the recognition he received. He was awarded a Medal of the Order of Australia (OAM) in June 1989 and made a Member of the Order of Australia (AM) in June 1996 for 'continued service to the Northern Territory through the Northern Territory Landcare Council, the Anti-Rabbit Research Foundation, the Cattleman's Association, the Australia Day Council and St John Ambulance'. He was named the Senior Australian of the Year for the Northern Territory for 2004 and in October 2008 was made a Knight in The Order of St John. Bern Kilgariff died on 13 April 2010 and was given a state funeral at Our Lady of Sacred Heart Church, Alice Springs, in a service that included an Aboriginal smoking ceremony. I liken my life to seeing a tram going past. I have hopped on the tram to see where it takes me; that has been the pattern of my life. I will leave the Senate with some regrets, but I believe the time has come for me to do other things. I do not see myself as the retiring type, but perhaps next Monday ... I will be looking for a tramcar to hop on to see where it may take me. Peter and Sheila Forrest, They Started Something: A Biography of Bern and Aileen Kilgariff, Darwin, NT, 2005; Kilgariff, Bernard Francis—Defence Service Records, B883, SX30330, NAA; 'Profile: Senator Bernard Francis Kilgariff', House Magazine, 17 Sept. 1986, p. 3; Courier-Mail (Brisb. ), 10 Dec. 1979, p. 5. Forrest, They Started Something, pp. 180, 192–3, 198, 230, 278–80; House Magazine, 17 Sept. 1986, p. 3; Alistair Heatley, The Territory Party: The Northern Territory Country Liberal Party 1974–1998, NT University Press, Darwin, 1998, pp. 2–5, 10–11, 138; F. Walker, A Short History of the Legislative Council for the Northern Territory, Government Printer, Darwin, 1986, pp. 43, 47–49, 91, 96–9, 125; NTLCD, 22 May 1969, p. 612; Dean Jaensch and Deborah Wade-Marshall, Point Of Order! The Legislative Assembly of the Northern Territory 1974–1994, NTLA/North Australia Research Unit, ANU, Darwin, 1994, pp. 30–1, 38–9, 258. CPD, 18 Feb. 1976, pp. 44–8. Herald (Melb. ), 9 May 1978, p. 6; Media release, Senator Bern Kilgariff, 17 Dec. 1986, 25 Nov. 1986. CPD, 6 Dec. 1983, pp. 3311–2; Press release, Senator B. K. Kilgariff, 6 March 1985, 7 Sept. 1983; CPD, 11 Nov. 1985, pp. 1930–33. Australian (Syd. ), 9 July 1980, p. 8; Media statement, Senator Bern Kilgariff, 7 July 1983, 2 Aug. 1984; CPD, 5 June 1987, p. 3696. CPD, 2 Dec. 1985, pp. 2655–61; CT, 3 Dec. 1985, p. 12; Australian (Syd. ), 31 Dec. 1985, p. 6; Press release, Senator B. Kilgariff, 23 May 1984; CPD, 6 Oct. 1983, pp. 1221–4; CT, 16 Nov. 1983, p. 22; Northern Territory News (Darwin), 11 May 1984, p. 4; CPD, 13 March 1986, pp. 944–6. Paul Davey, Ninety Not Out: The Nationals 1920–2010, UNSW Press, Syd., 2010, pp. 184–6; CT, 10 March 1979, p. 2; Age (Melb. ), 12 March 1979, p. 11; Forrest, They Started Something, p. 225; CPD, 5 June 1987, pp. 3688, 3702. CPD, 11 May 2010, pp. 2390–4; Forrest, They Started Something, pp. 236–48, 284; CPD, 5 June 1987, p. 3695. This biography was first published in The Biographical Dictionary of the Australian Senate, Vol. 4, 1983-2002, Department of the Senate, Canberra, 2017, pp. 134-138.